from classical black or white but also pink,purple or blue so each taste is satisfied! of bottom prims…..really a “must” for cold weather incoming…….im going to show you white version here but all range of colours avaiable need to be worn!!! Make sure you follow it! 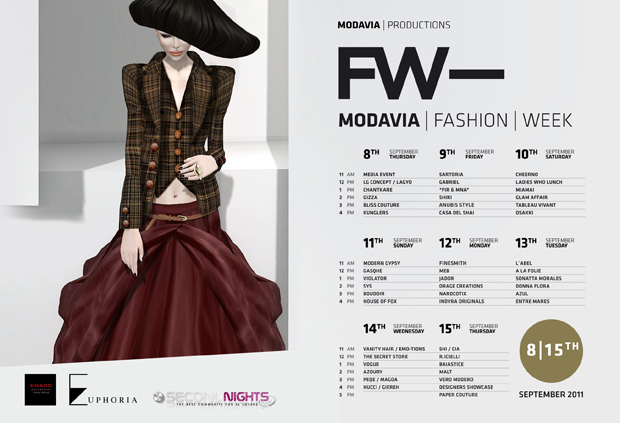 Modavia Fashion Week (September 8-15, 2011) opens at 11am SLT on September 8th with a show featuring the highlights of the week ahead for invited press and bloggers. 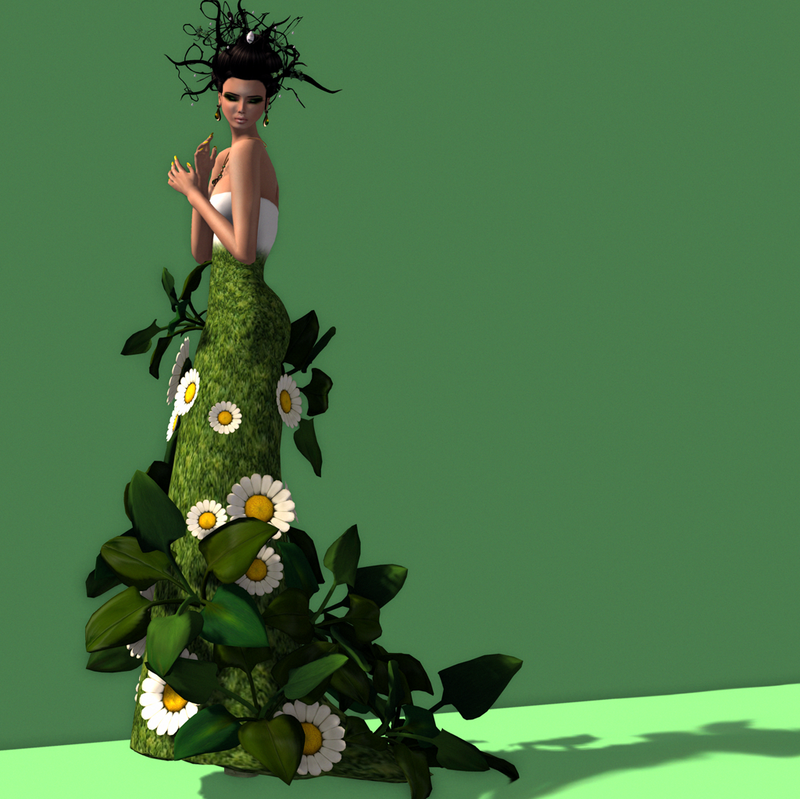 Fifty of the best couture designers in SL will present their new autumn collections over the next 8 days, kicking off with the LaGyo/LG Concept partnership and culminating in a showcase of emerging talent and the much-awaited preview of new fall designs from Paper Couture on September 15 at 5pm SLT. All shows will take place on the MODAVIA sims which will also host an exclusive on-site boutique selling all the FW looks seen on the runway. Can you feel it? The light touch against your skin. Can you hear it? The sharp snapping of the cat tail. Can you see it? The glistening moistness. Can you smell it? The distinct must of leather. Can you taste it? The salty viscous texture against your tongue. 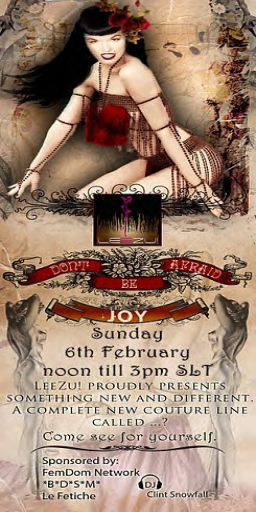 IM SURE YOU CANT WAIT! You just can’t miss the new upcomming LeeZu line! EVANE Models Agency will held a Styling Seminar with 4 different Icons of Fashion Industry! We wait you! Everyone is able to attend!